On 2 April 1917 before a joint session of Congress President Woodrow Wilson asked for a declaration of war against Imperial Germany. Over the next few days the wheels of American government ground away. On 4 April the Senate held a day-long debate, then voted 82 to six, with eight abstentions, for war. 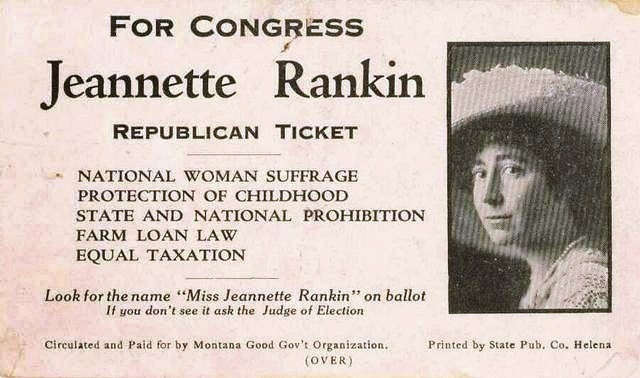 The House voted 373 to 50 on 6 April, Good Friday, one of the dissenting votes being cast by the first woman ever to sit as a representative, Jeannette Rankin of Montana. She would serve to vote against a second world war some 24 years later. The joint war resolution was rushed to the White House; Woodrow Wilson interrupted his lunch, and came to the office of the usher, Ike Hoover. "Stand by me, Edith," he said to his wife. She handed him a gold fountain pen, a gift he had given her, to sign the document. A signal was passed to a junior naval officer, who had been instructed by Assistant Secretary Franklin Delano Roosevelt to stand in readiness. 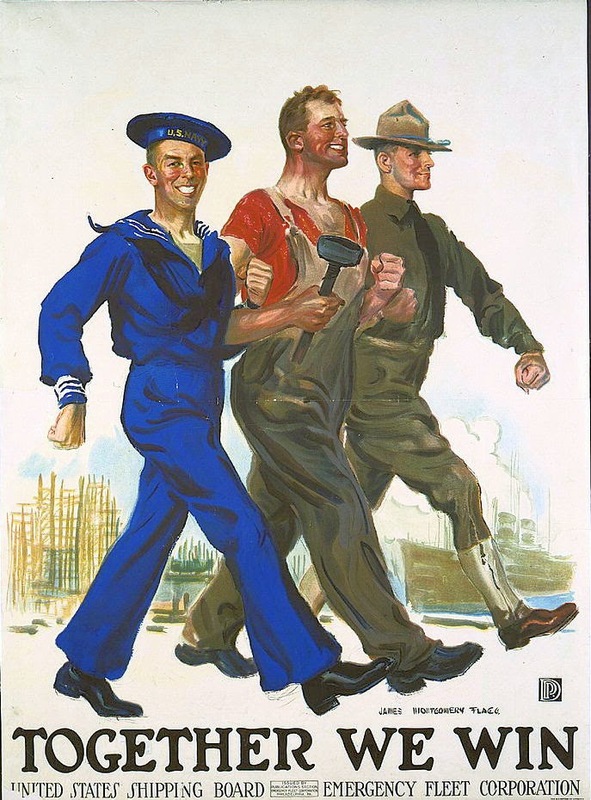 Now the young man rushed outside and with his arms semaphored to a figure standing in a window of the adjacent State, War and Navy building, who then ordered that wireless messages be sent to all the 22 ships at sea: the United States was at war. had not yet been resolved. When Major Palmer R. Pierce, aide to Secretary of War Baker, was testifying before the Senate Finance Committee on 6 April, the day war was declared, he was sharply questioned by Committee Chair Thomas Martin of Virginia about the War Department's needs. Especially upsetting was its request for the unprecedented sum of $3 billion. The major explained that the budget would have to cover expanded expenses for "clothing, cots, camps, food, pay...And we may have to have an army in France." "Good Lord!" cried the shocked senator. "You're not going to send soldiers over there, are you?" York died on 2 September 1964 and was buried with full military honors in the Pall Mall, Tennessee, cemetery. His funeral was attended by Governor Frank G. Clement and General Matthew Ridgway as President Lyndon B. Johnson's official representative. York was survived by seven children and his widow. When asked how he wanted to be remembered, the old sergeant said he wanted people to remember how he tried to improve basic education in Tennessee because he considered a solid education the true key to success. It saddened him somewhat that only one of his children went on to college, but he was proud of the fact that they all had received high school diplomas from York Institute. Most people, of course, do not remember him as a proponent for public education. 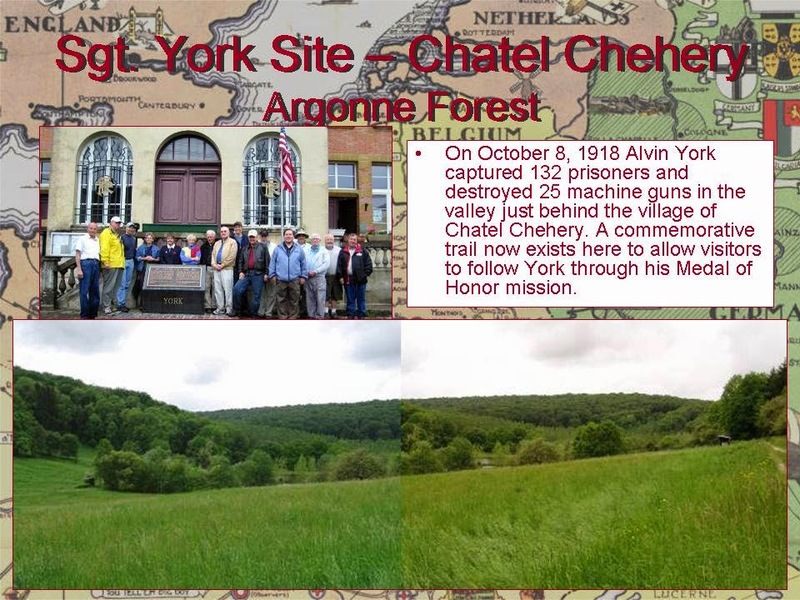 York's memory is forever tied to Gary Cooper's laconic screen portrayal of the mountain hero and the myth surrounding his military exploits in the Argonne in 1918. The recent symposium in Kansas City sponsored by the National World War I Museum and the National World War One Commemoration Commission was very well conducted, highly informative, and most helpful for me for networking with other like-minded students of the Great War. 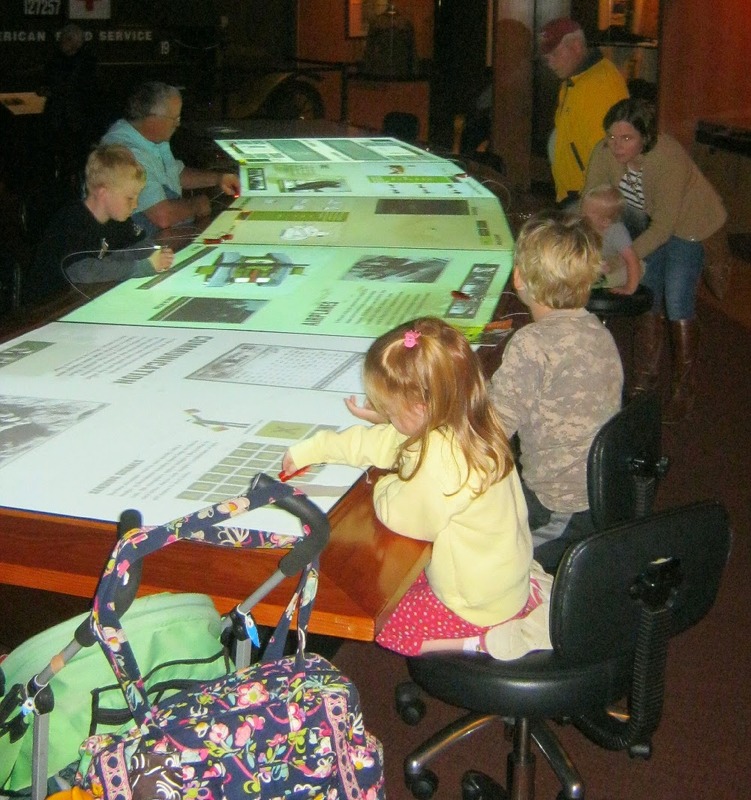 Of course one aspect of the event was that we had full access to was the museum itself. And I must say, this was the most inspiring part of my trip. 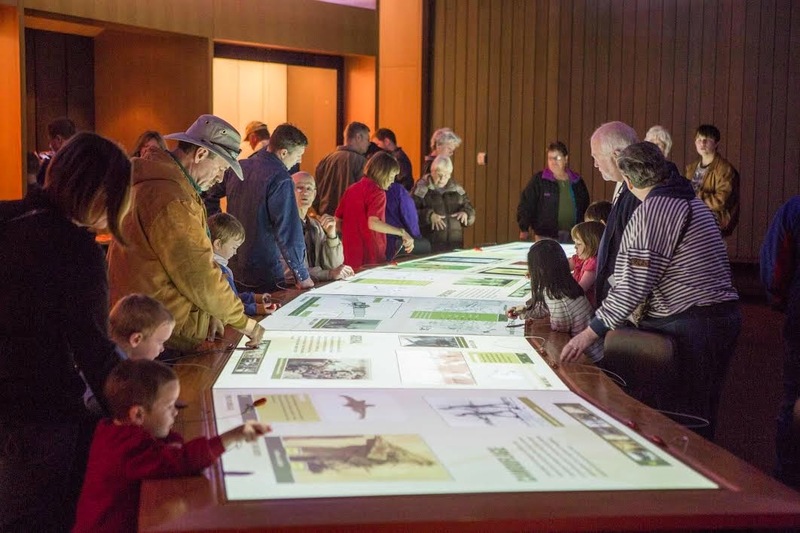 The museum was just filled with visitors who found the events of the period and the heritage of the country they were rediscovering absolutely fascinating. You could see that they were both interested in the factual stories and were emotionally moved by what they were seeing. I found watching the crowd as enjoyable as looking over the exhibits. This is what it looked like. BEST TO ALL: Were the kids. 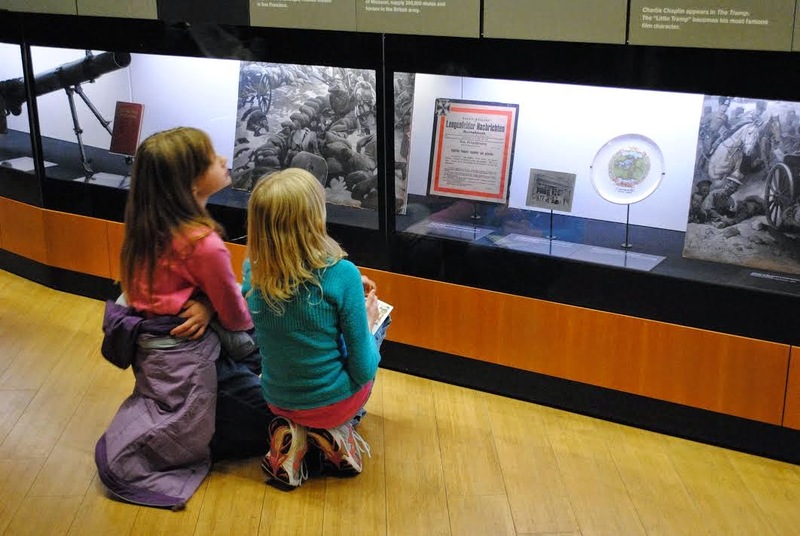 Bless the museum staff for putting together the sorts of displays that get children attracted to history so they can learn about their traditions and cultures. Instrument of Slaughter is the second in Edward Marston's Home Front Detective Series. It tells the story of a group of conscientious objectors in London at the beginning of the war, the leader of whom, Cyril Ablatt, is bludgeoned to death after attending a meeting of the No-Conscription Fellowship. Cyril and his friends believe in "peace and universal friendship". 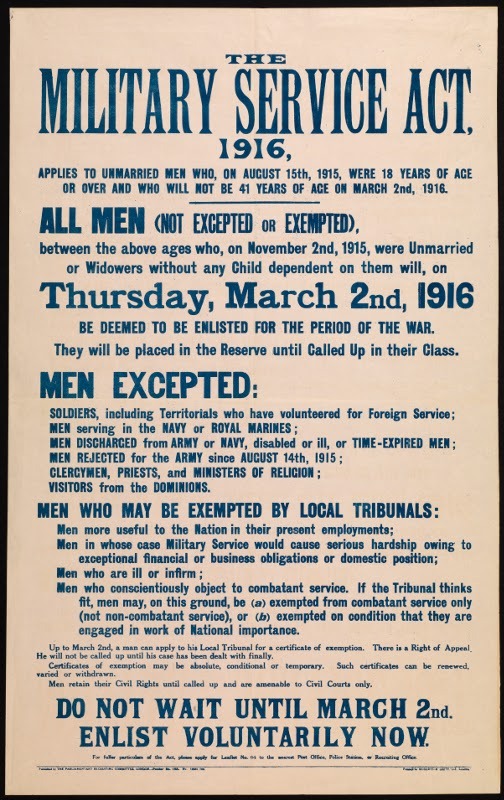 For them conscription is the desecration of principles long held dear, the subordination of civil liberties to military dictation, and a peril to the freedom of individual conscience. Cyril and his fellow pacifists are despised and ridiculed, not least by the police. For the group, however, there is no compromise: "[w]e never compromise" is their motto. All refuse to join the Non-Combatant Corp.
Joe, one of Cyril's closest friends, reminds the group that pacifism has its foundations in the Bible. "Blessed are the peacemakers," he says as he quotes from Matthew's Gospel, "for they shall be called the children of God. If only that were true! Ablatt was a peacemaker and you can imagine the names he must have been called. War puts poison into people's mouths." One of the group, Hambridge, is a Quaker, who reminds his friends, "we utterly deny all outward wars and strife. That's what George Fox [the founder of the Quaker movement] said and he preached the gospel of peace all his life, even though they put him in prison time and again." "My parents say that you ought to join up. As for the women at work," she went on, "they're already passing remarks about me. I've got some friends at the factory but there are many nasty ones as well and they keep taunting me for getting engaged to a coward." Marmion is determined to track down the killer, despite the general public's resentment that so much effort is being made on behalf of a man whom many deem to be a coward. For Marmion, who does not sympathize with pacifism but respects the honor and bravery of the pacifists, it is easy to defend the use of police resources — "when [Ablatt] became a murder victim . . . he ceased to be a conscientious objector." Marmion's uncovering of the murderer is portrayed as a victory for conscientious objection. Edward Marston's novel reveals the difference between a fictional and an historical account of pacifism. Instrument of Slaughter tells not only the story of the conscientious objector himself, but also of his family. What makes the characters pacifists? What are the pressures put on them by their family, community, and nation? How do they withstand these pressures? When conscientious objection is explored in detective fiction, the reader becomes part of the story, investigating and evaluating motives, clues and evidence, and drawing conclusions. The suspense of the detective story maintains the reader's interest to the end. Justice is meted out and order restored. At the same time, the reader has gained a deeper understanding of what it meant to be a conscientious objector in World War One. 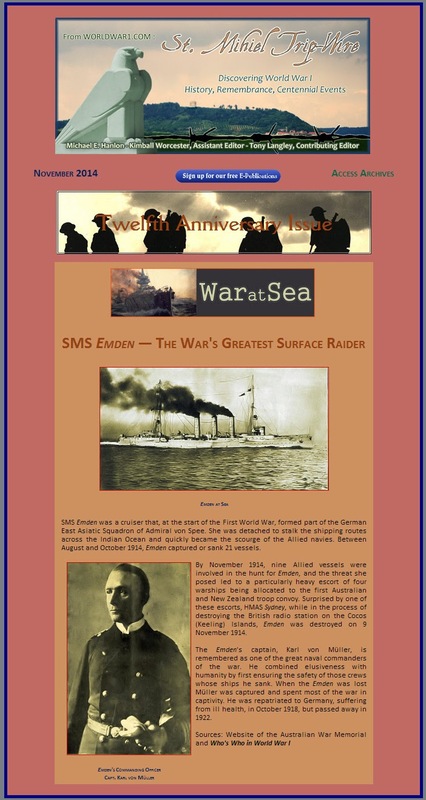 Our monthly full color, printable, paid subscription e-magazine produced in association with Military History Press gives fresh looks at the significant personalities and events of the war—both the well-known and forgotten. Click on the icon at the bottom to download a free issue and ordering information. All our back issues are available on CDs with many extra features. 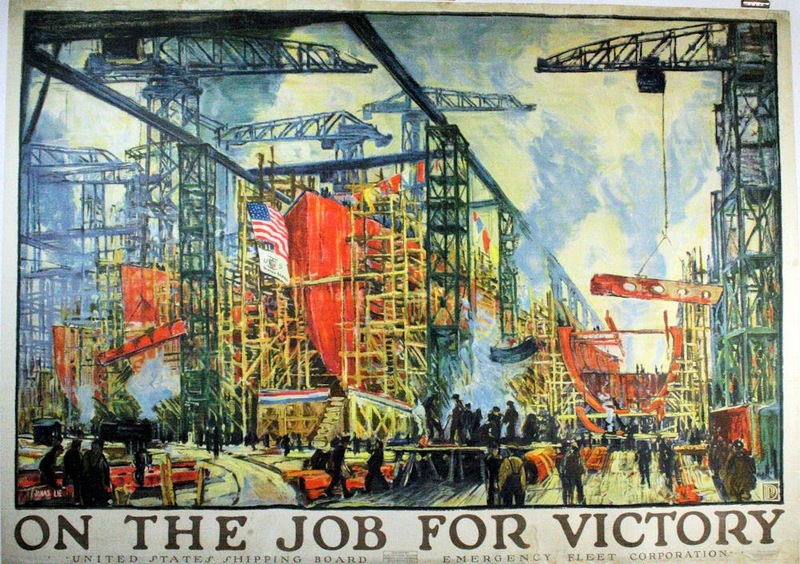 When Britain went to war in August 1914 the Canadian economy had still not recovered from the harsh depression that had surfaced in late 1912...Unemployment rose and there was a severe credit squeeze. Farmers abandoned their land in the hope of finding city jobs that did not exist. At best, fortune smiled on them in the form of some small amount of material assistance. In 1914 even the companies that owned the two transcontinental railways were in difficulty. Canada's colonial status meant that it was automatically at war as well. Clausewitz had written in the first half of the 19th century that war was the continuation of politics by other means. Yet Canada was at war with no foreign policy worthy of the term. 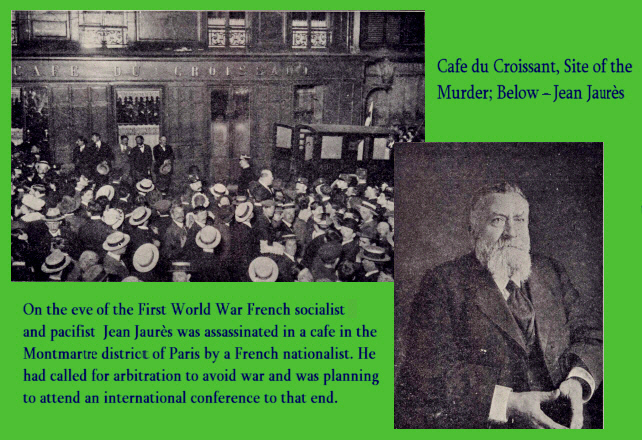 In 1914 most people hoped that this conflict, the true scale of which was grasped by only a few, would be over quickly. Nonetheless, the government vested itself with exceptional powers. On 18 August it introduced a War Measures Bill in Parliament that would enable it to govern by decree. The bill would be passed the following month. 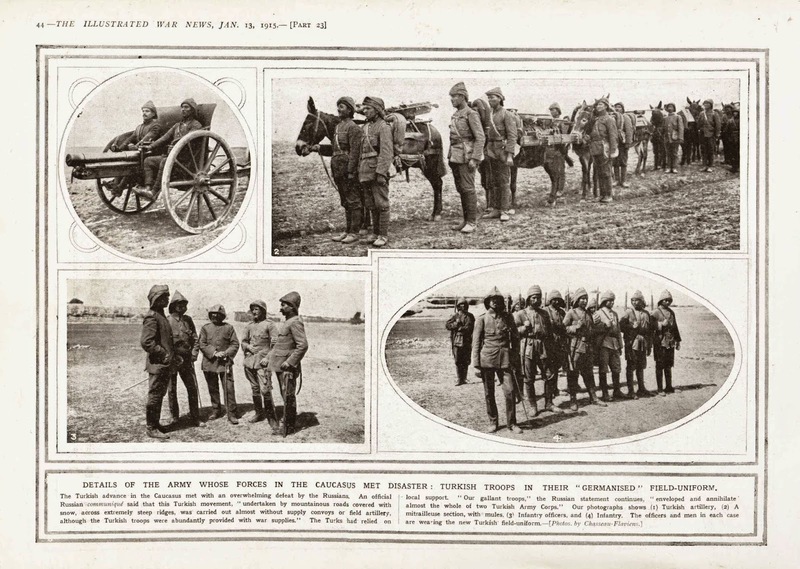 When it went to war, the British Empire was not as united as some might have believed. Sinn Fein, already active in Ireland, fully intended to seize this opportunity to advance its cause. 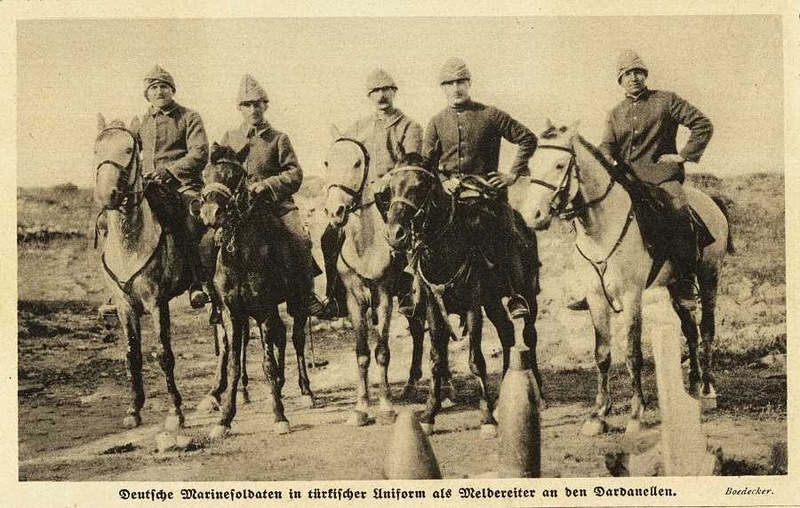 In South Africa the Afrikaaners, just as white as their English countrymen, were divided over a proposed attack on Germany's Southwest Africa colony. In Canada their chief supporters were the Quebec Francophones, who would themselves refuse all-out participation in the hostilities. From the first weeks of conflict, whites throughout the Empire voiced their loyalty to Britain's cause. Yet a murmur of division persisted. It would abate without altogether disappearing when the liner Lusitania was sunk in 1915; the Empire turned with virtual unanimity against Germany and her allies, beginning with Austria-Hungary and swelling over the months by the addition of Turkey and Bulgaria. People everywhere were asking the same question: At what price must this war be fought? In general, the British colonies went to war relying on imperial experience. Later, the game would turn to slaughter and the colonies would give it their best. The end of the massacre, in 1918, would come as a great relief. Anchor of the German defensive line in the Champagne, this nub seems hardly worthy of the “Mont” part of its name. 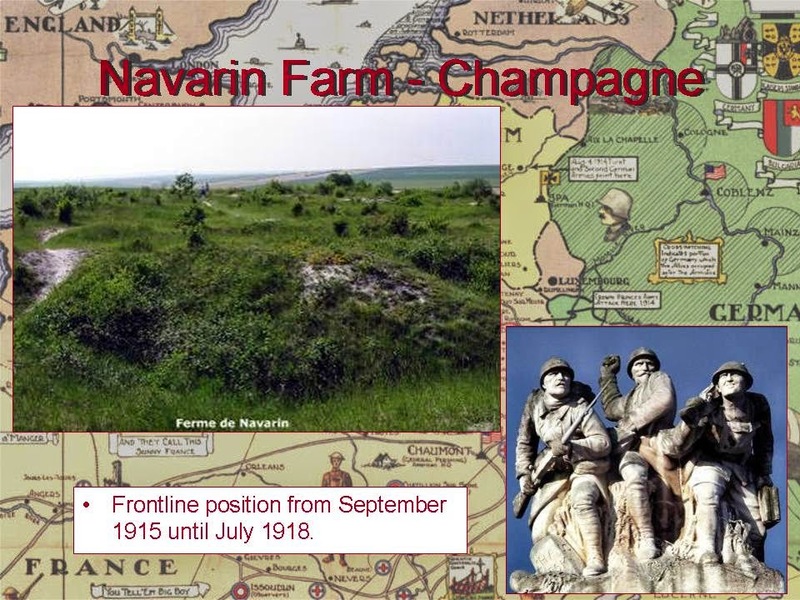 From its crest, however, the entire Champagne region can be observed from Reims to the Argonne Forest. 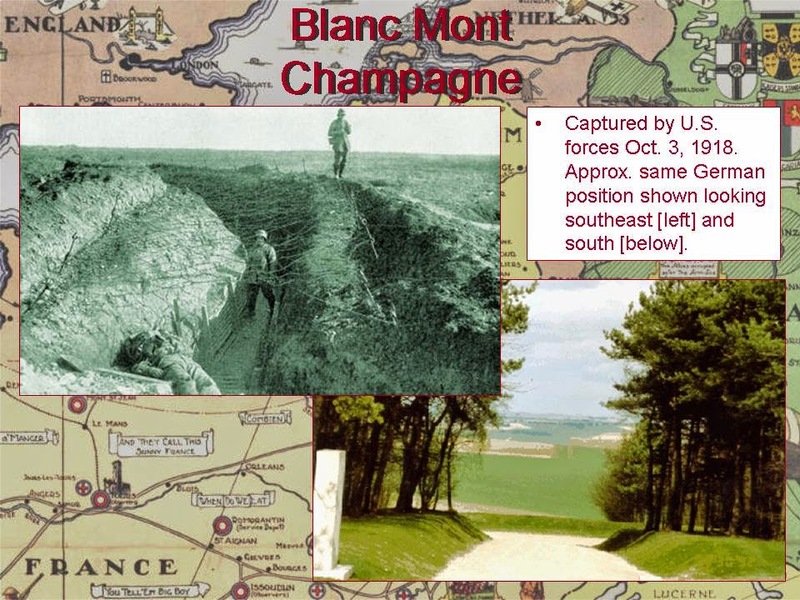 Blanc Mont held out against every assault by the French Army for the better part of the Great War. It was considered so secure that Kaiser Wilhelm was invited to observe the opening of one 1918 offensive from its heights. 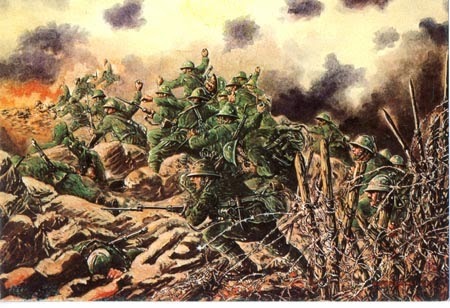 In October 1918 it fell to a single assault by the Marines and Doughboys of the 2nd Division in a single morning and then became one of the grimmest battlefields in American history as the German Army repeatedly tried to retake it. 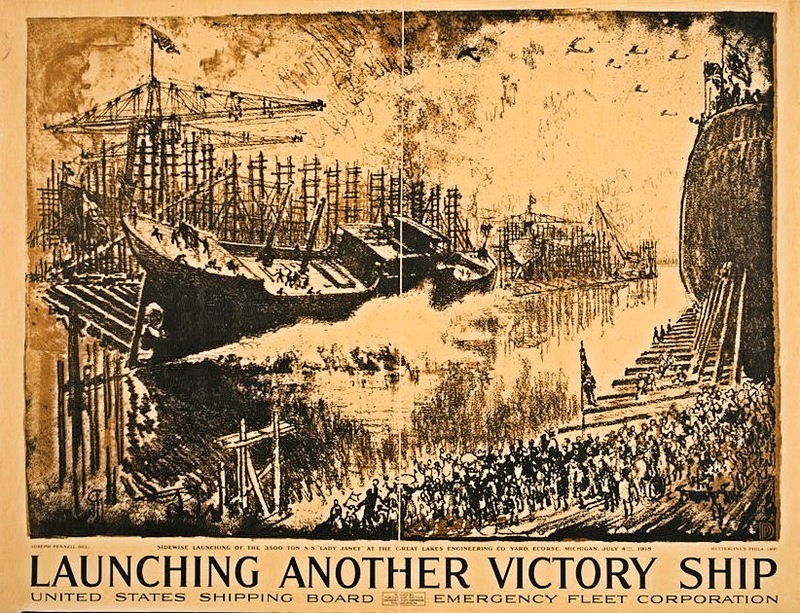 It is the most forgotten victory in U.S. history. What Was Wrong With Beatty's "Bloody Ships" at Jutland? “There seems to be something wrong with our bloody ships today,” said Admiral David Beatty on 31 May 1916. This famous comment was provoked as Beatty was losing three of his battlecruisers, Indefatigable, Queen Mary, and the inaptly named Invincible, in the opening of the Battle of Jutland. Many analyses of the battle assert these ships had major design flaws with their turrets and magazines. 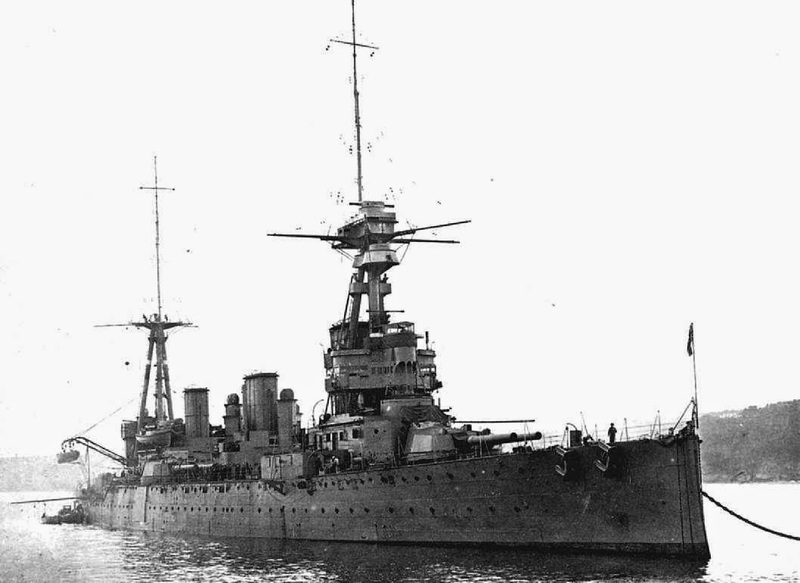 In British Battlecruisers, 1914–18, (Osprey, 2006), however, authors Lawrence Burr and Tony Bryan conclude other issues led to the loss of the ships. Technological deficiencies of offensive systems, including: the inadequate Dreyer fire-control system (except on Queen Mary), range finders inaccurate at long distances, the less stable qualities of the Royal Navy's cordite as compared to the German formula and poor-quality armor-piercing shells. Operational and procedural matters, including: a lack of gunnery practice and the unsafe ammunition-handling practices that had been sped up by leaving cordite stacked in the turrets' working chambers and magazine doors left open. Given the above problems, the authors conclude: "The problem with British battlecruisers at Jutland was that their crews were too eager to come to grips with the enemy." Chickens were apparently on everyone's minds when America entered the war. Above is an image a pin from the Daughters of the American Revolution. 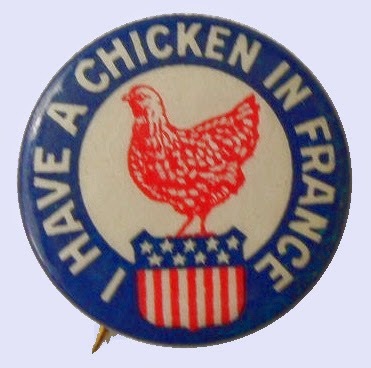 They felt that there was a shortage of chickens in France that would deprive our brave troops of both their favorite main course and eggs at breakfast time. Raising funds to remedy this crisis was one of their pet wartime projects. On the other hand, Tin Pan Alley had another view on wartime chickens. This was a 1918 "hit" that, I'm sure especially inspired the troops, and — possibly — offended some of the brass. Why can't you advance like the other boys have done? Won't you tell me what is wrong?" Or a private with a chicken on your knee? If ever there was a manual on 1) how not to conduct foreign diplomacy, 2) how not to staff, equip, and train an army for modern warfare, 3) how not to liaison with a supposed foreign ally, 4) how not to strategize for an upcoming war, and 5) how not to initiate and conduct a war, this would be the book. Dr. Wawro begins iterating the problems of the Austro-Hungarian Empire as early as the 1790s but concentrates on the period after 1859, when Franz Joseph lost his first war, to France, then his second to Prussia in 1866. One of the basic and probably insurmountable problems of the empire was the variety of nationalities and languages it encompassed. 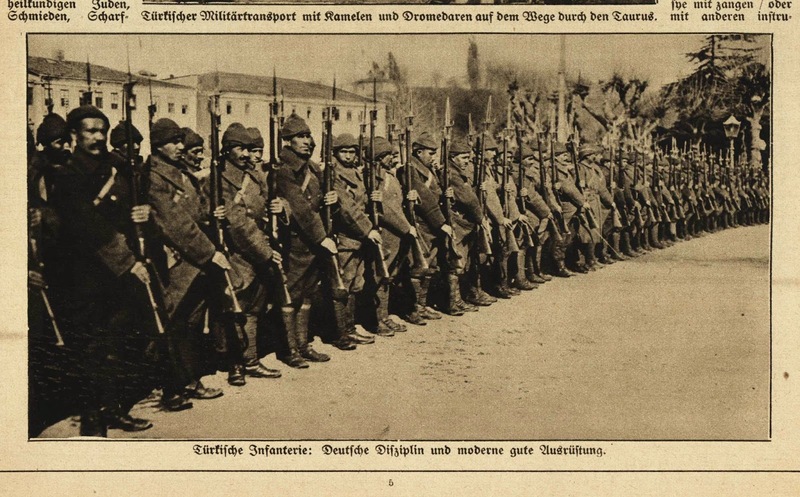 German-speaking officers had to contend with troops whose native languages included Czech, Polish, Slovenian, Ukrainian, Rumanian, Magyar (for the Hungarians), and eight other languages. Perhaps the worst prewar event was for Hungary to basically reject any decisions made by the empire after 1867. From then on, Hungary refused to accept Austrian decisions and legislation about military spending or anything else. Thus the empire did not have enough machine guns, artillery, shells, ammunition, uniforms, or anything else with which to wage war. 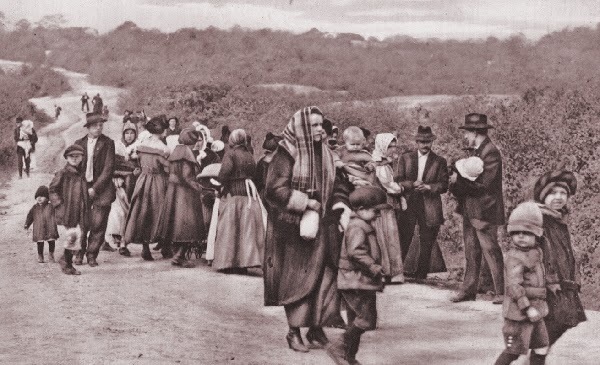 When confronted by Serbian peasants in 1914, whom they sought to "punish" for the murder of Archduke Ferdinand, Austrian leadership lost 300,000 men in three invasions by 15 December 1914. Much of the disaster was due to the non-leadership of Army General Chief of Staff Franz Conrad von Hötzendorf. General Conrad had no concept of modern warfare, kept his plans, if there were any, to himself, and did not coordinate with Germany. When the army got into serious trouble with the Serbs, and then Russia, he would plead with Germany for troops and assistance. By war's end, Austria had become a vassal to Germany. Russia was a great ally of Serbia and fought the Austrians and Germans tenaciously. As a third of Russian troops did not have rifles, the results were mutually devastating. 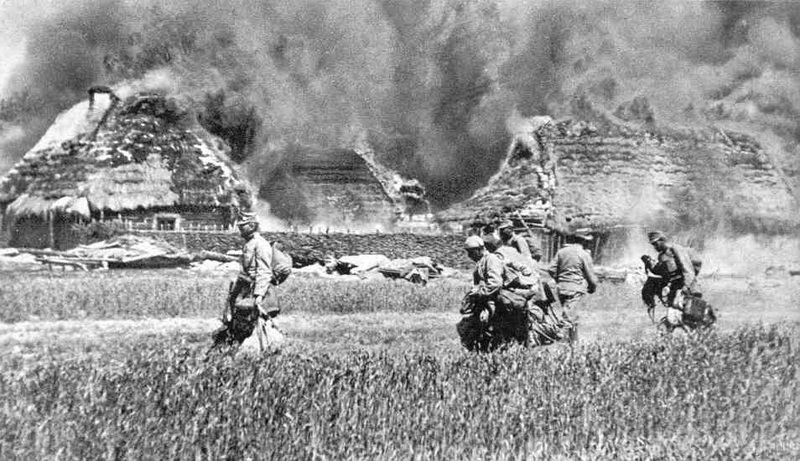 With far more replacements than its enemies, Russia would swarm its opponents even though its troops would die by the thousands. Read this book to learn about Austria's hatred of Serbs and Serbia's inbred hatred of Austria. This mutual hatred contributed to bad Austrian diplomatic and military decisions and explains why impoverished Serbs could rout the supposedly better-equipped Austrian army. Much of the beginning of the War is explained here, which is what I appreciated, and is recommended as the first book to read to understand how the Great War began. This is also a vivid and painful description of the horrors of the Eastern Front due to weather, bad leadership, disintegrating morale, and miserable logistics, which are not frequently discussed, compared to the Western Front. Be prepared for an uninterrupted series of agonies — but a fine read. At 7:36 p.m. on 4 October 1918, building #61 in the T. A. Gillespie Shell Loading Plant in Morgan, New Jersey, exploded, causing the evacuation of nearby South Amboy. To this day the cause remains unclear. 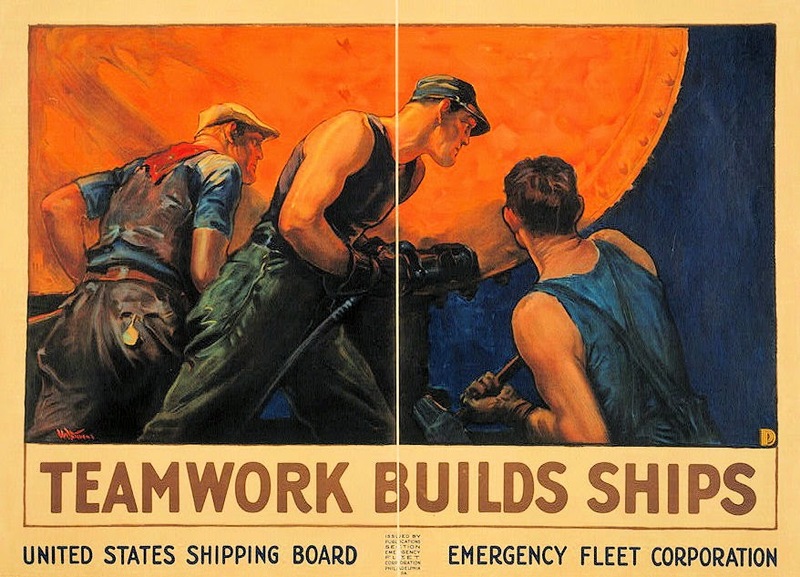 The U.S. Coast Guard distinguished itself in the evacuation effort. 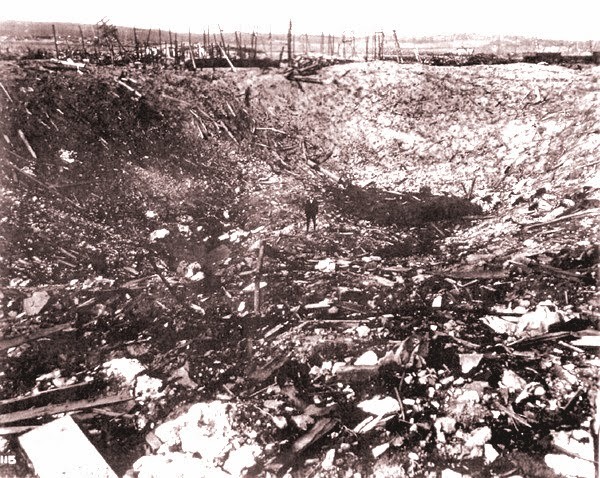 Reports have blamed the explosion on an accidental spark, company negligence, and German sabotage. At least 64 residents and employees died from the explosions that lasted three days. Spent shells in large numbers were still being removed from the area as recently as 1997. A measure of the importance of C.G.E. Mannerheim to the history of modern independent Finland is the fact that the main boulevard of Finland's capital, Helsinki, is named after him. Mannerheim was a Finn who served in the Russian Army for 30 years, starting in 1887. Early in his brilliant career, he distinguished himself in the Russo-Japanese War and won the favor of the Tsar's household as Keeper of the Royal Stables. He rose to the rank of Lieutenant General in the First World War when he commanded the VI Cavalry Corps. After the Russian Revolution he returned to his native Finland as it declared independence. Helsinki was occupied by Finnish communists early in 1918 and in the ensuing civil war, with German help, Mannerheim led the White forces to victory. He served as regent before the first election when Finland became a republic in 1919. 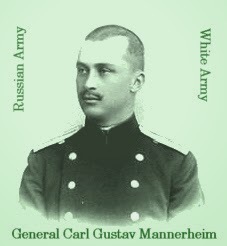 The Mannerheim Line of defense across the Karelian Isthmus was subsequently planned by him as a shield against the Soviets. Later, Mannerheim was a field marshal and became president of Finland in 1944. In 1939–40 and 1941–44 he headed the Finnish forces against the USSR. Finland was forced to capitulate in 1944, and the ensuing armistice required it to expel the German army. As president, Mannerheim was compelled to wage a short, but bloody, war against his former German allies and then reach accommodations with Stalin to maintain a semblance of independence for Finland. Because of his political and diplomatic skills, however, Finland was the only defeated power of World War II that did not suffer occupation. Exhausted by illness, Mannerheim resigned from the presidency in 1946 and died five years later. When war was declared the Belgian government asked for and also requisitioned privately owned automobiles (usually not from businesses). Many of the affluent class, when being called up or volunteering for military duty, brought their strong and robust motorcars along with them into service, often with an experienced professional chauffeur. One of these soldiers returning to military service was Charles Henkart, a reserve grenadier lieutenant. He brought two of his own motorcars with him and had them refurbished at the Cockerill Steel Yards in Hoboken near Antwerp. These steelyards manufactured heavy industrial machinery and were engaged in shipbuilding and repairs and constructing all manner of heavy equipment. They welded steel plates around Henkart's two cars, mounted machine guns, and off he went, merrily shooting up German units, strongpoints, machine gun outposts, and other targets of opportunity in the greater Antwerp defensive zone. In one action he is credited with causing 200 German casualties. This was such a success that other heavy-duty motorcars were refurbished by the military along similar lines. The armor plating was carried out at the Cockerill Steelyards upriver from Antwerp and in large part in the Belgian Minerva Automobile Factory, located in downtown Antwerp. The Minerva automobile was a sort of Belgian Rolls-Royce, incredibly sturdy, high-powered, and very reliable. Since Belgian roads were in the main paved with cobblestones, these motor vehicles sported a strong and dependable chassis and suspension system, and so were sturdy enough to bear the extra weight of steel plating. In the post-WWII era, when the company went out of business, it was joked that it couldn't sell any more cars because Minervas never broke down or wore out. In reality they were just too expensive — all were handmade to very high standards. Apparently Al Capone had a specially made armor-plated Minerva as a personal vehicle of his in Chicago of the 1920s — supposedly because of its reputation during the Great War of being indestructible . They caused much havoc to the Germans during the Siege of Antwerp, though they were never used in a concentrated action. They were used in bits and dribbles of one or two operating on their own. A news editor's dream with their contemporary futuristic look and feel, they were photographed extensively and shown in the printed media worldwide as an example of Belgian ingenuity and determination to withstand the German invasion of their country. They suffered one big setback during the siege, when in a raid of two cars a Belgian prince, the Prince de Ligne, was killed in a minor engagement in Aalst near Antwerp. Their story of the later war years includes not only intense action on the plains of Russia but also surviving the Bolshevik Revolution, traveling the length of Siberia and Manchuria to Vladivostok with a subsequent embarkation for San Francisco, and a grand triumphant tour of the U.S. before returning to France in the summer of 1918. By 1915, after the retreat to the Yser river and the virtual institution of static trench warfare, there was no more use for such fast-moving vehicles. 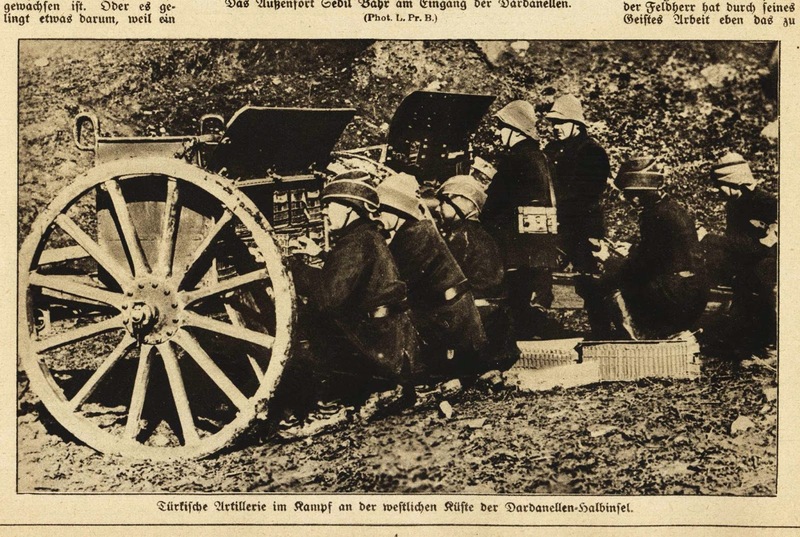 Due to offhand remarks by a Russian diplomat attached to the Belgian military as observer, the Belgian Armored Car Corps — the Auto-Canons Miltrailleuses or ACM — was sent to Tsarist Russia to fight on the Eastern Front in Galicia against the Austrians and Germans. The principal French memorial in the Champagne region marks the site where French forces were stymied throughout 1915, stayed in place for three years, and waged a notable defense in the opening of the Second Battle of the Marne, July 1918. The monument contains a chapel on whose walls are plaques containing the names of the soldiers who were placed in the crypt at the request of their families. The crypt contains 10,000 unnamed soldiers along with General Gouraud, commander of the 4th French Army in 1918. The figure on the right atop the pyramidal ossuary is an American Doughboy. The U.S. 42nd, “Rainbow”, Division was deployed here during that July 1918 battle. 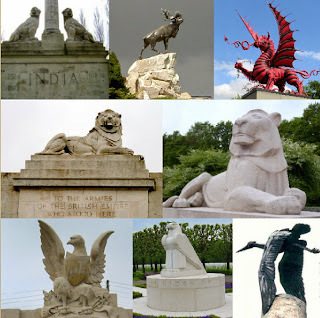 The battlefield and trenches around the monument have remained untouched since 1918. Claudio Bisogniero, Ambassador of Italy to the United States, will visit the museum on Monday, 17 November for a private event prior to the debut of War & Art. 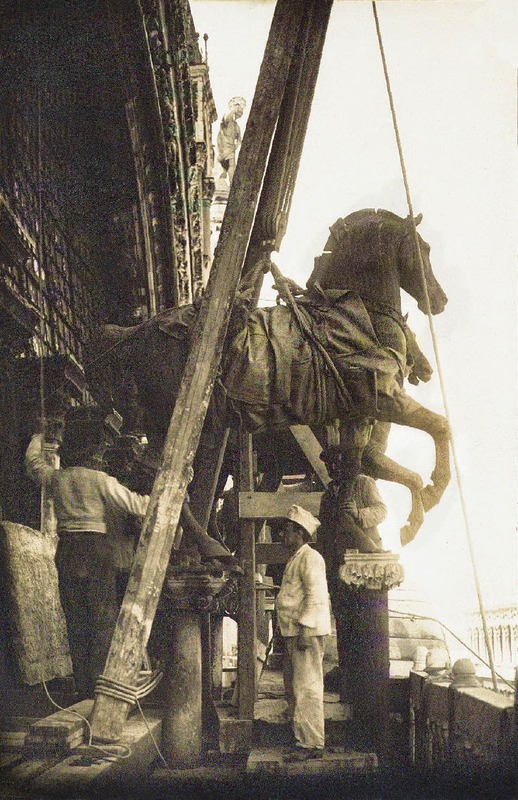 Destruction and Protection of Italian Cultural Heritage During World War I, a special exhibition featuring photographs documenting the preservation of priceless works of art during the Great War. Ambassador Bisogniero’s appearance marks the first time the Italian ambassador has visited Kansas City in more than 50 years. Ambassador Bisogniero will be available to speak with members of the media during a private event at the museum beginning at 6 p.m. on 17 November. 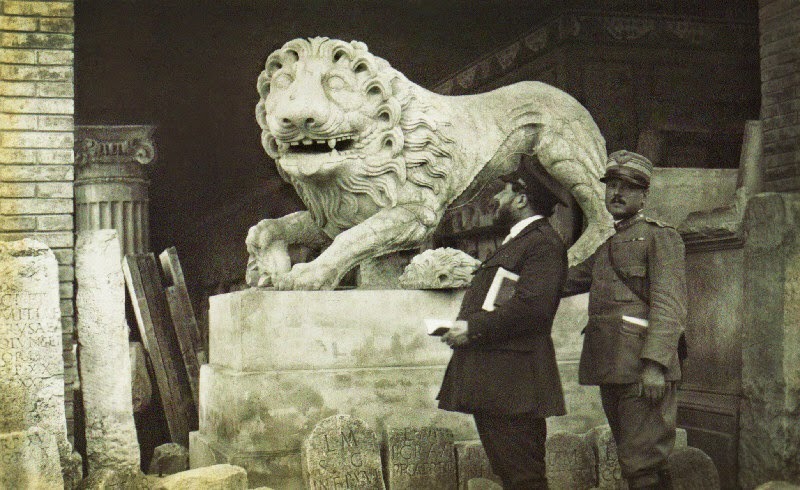 Destruction and Protection of Italian Cultural Heritage During World War I showcases the attempts by the Italian government to preserve priceless works of art during the destruction caused by World War I through a series of photographs taken by those tasked with preservation. Opening Tuesday18 November, the exhibition is curated by the Instituto per lLa Storia del Risorgimento Italiana in Rome and marks the first time this collection has been on exhibit outside of Italy. The Italian Reparti d'assalto (Assault Units), known as the Arditi, of the First World War were the most elite force in the Italian Army. In Italian the word "ardito" [singular form], means something like brave, bold, or audacious. Organized in the summer of 1917, by a Col. Bassi, these special forces units were assigned the tactical role of breaching the enemy defenses and attacking in depth in order to prepare the way for a broad infantry advance. The Arditi were not infantry troops but were considered a separate combat arm. Some Italian historians consider them to be the modern world's first true "special forces". In contrast, the Austrian and German "Sturmtruppen" although having a similar combat role, were regular infantry units. For volunteering, however, they received higher pay, more and better food, extra rations of grappa, and lived in nicer barracks when not in the field. They did not serve in the trenches or carry backpacks. 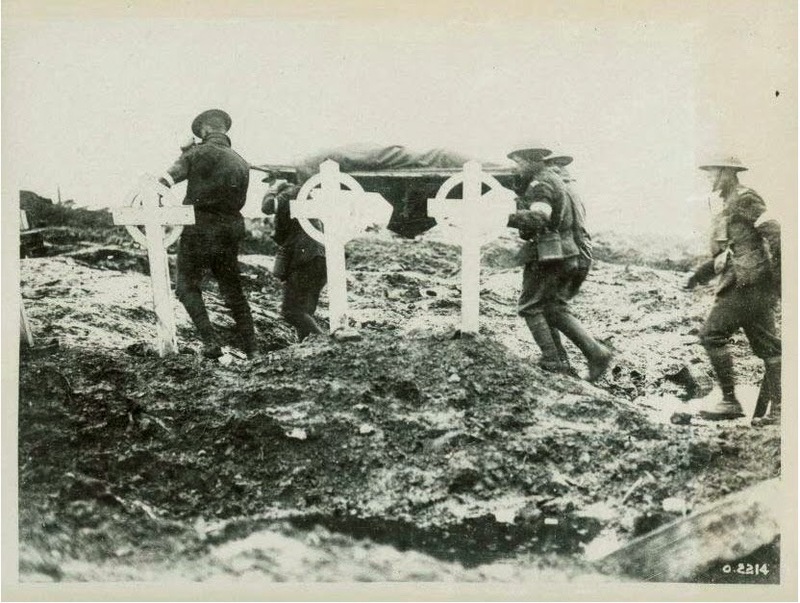 They were given truck transport and rarely marched long distances. Discipline was more relaxed and leave was granted more often. Like most special forces units, the Reparti d'assalto were relatively small, totaling approximately 600 men and officers, versus an Italian infantry battalion which usually contained about 1,000 men and officers. 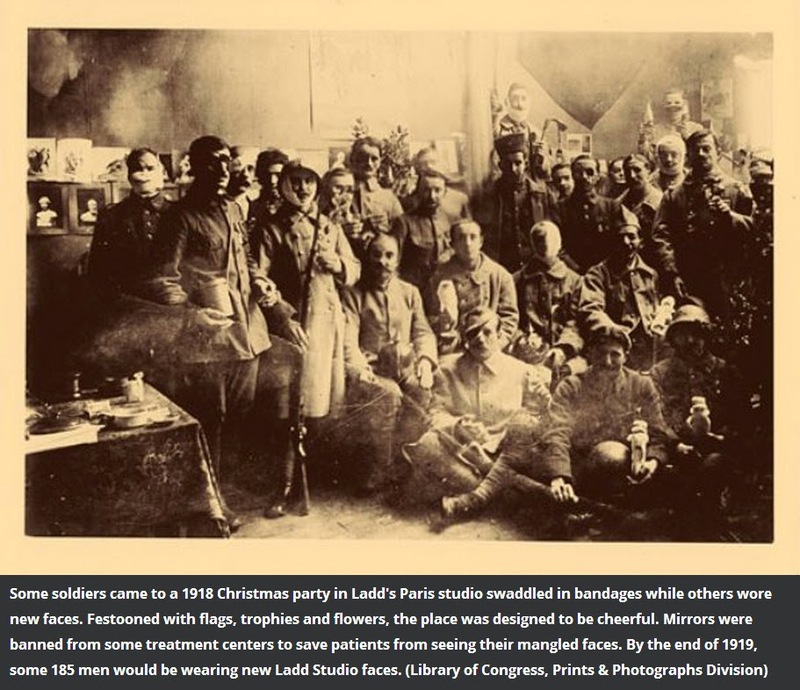 Excerpted from an article by John Farina, whose grandfather served with the Arditi. Either of these books would make a splendid Christmas gift for anyone with an interest in the Great War, but before buying and giving one or the other be sure you know the interest level of the recipient. Don't go by the titles alone because, although they are excellent books, they are not both for the novice Great War student. The Smithsonian's Definitive Visual History is by any reckoning a large, impressive volume of the "coffee table" type, measuring some ten by twelve inches. It's over 350 pages are crammed with glossy pictures, photographs, posters, maps, plans, timelines, and text, all presented in year-by-year chronological order. It's a perfect book for the visually inclined newcomer to the war, both adults and young people. 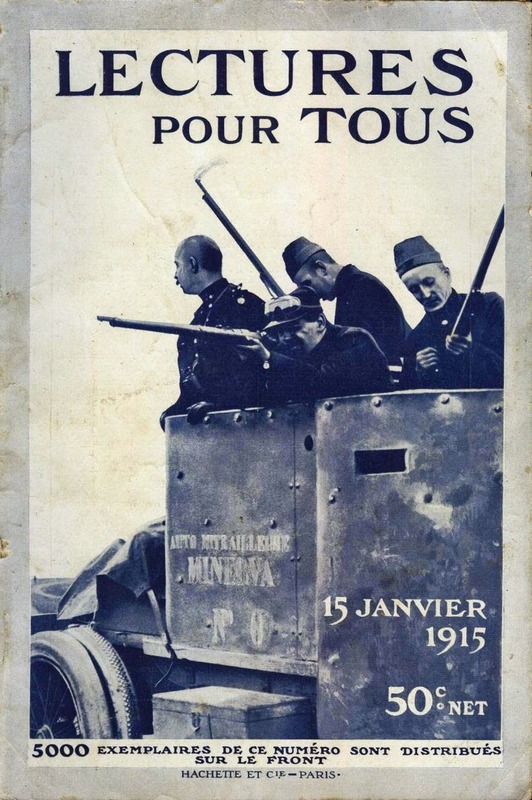 That the book is a history of the war is reinforced by its subtitle, From Sarajevo to Versailles. Its seven sections lay the plan out neatly: 1. The Troubled Continent 1870–1914, 2. Not Over By Christmas 1914, 3. Stalemate 1915, 4. Year of Battles 1916, 5. Revolution and Disillusion 1917, 6. 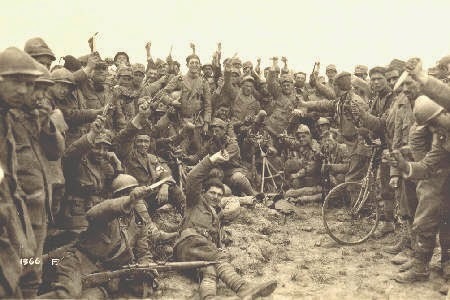 Victory and Defeat 1918, and 7. 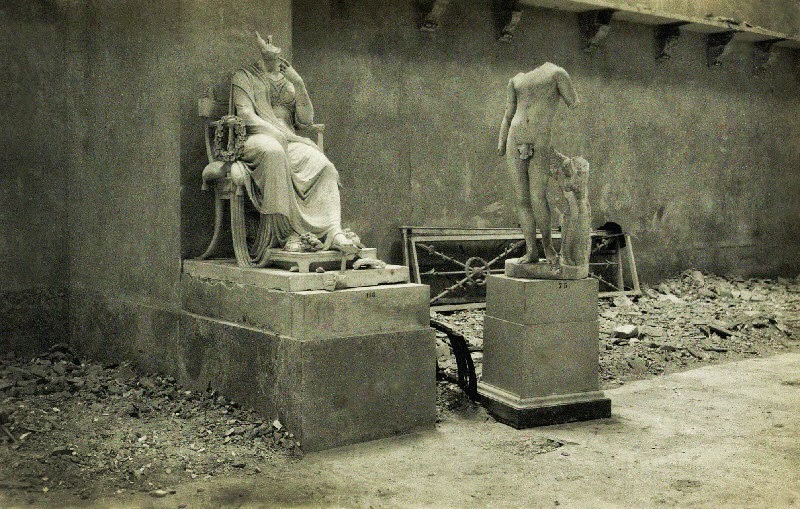 Aftermath 1919–1923. Each section is a visual feast of graphics with numerous boxes delineating dates of events or other information (often in rather small fonts). 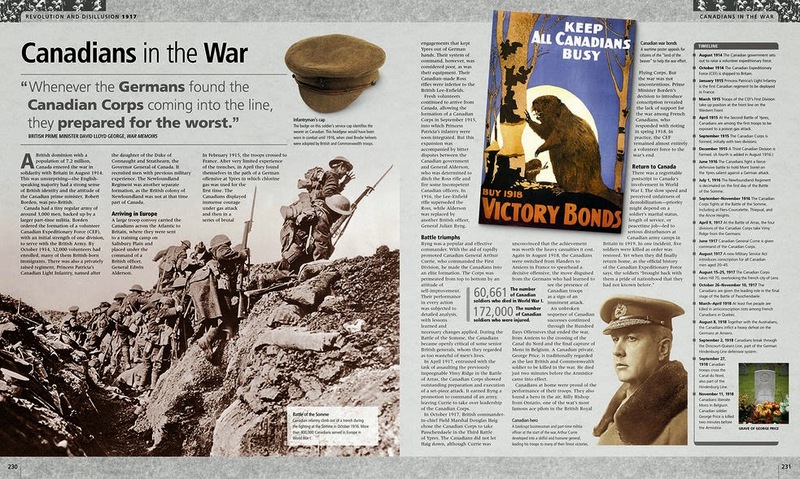 Many topics are covered in colorful two-page spreads, such as the Canadian troops (see below), the Brusilov Offensive, the Zeebrugge Raid, and the Arab Revolt. All these glossy visuals show DK Publishing at its very best, but it might be hard for some readers to absorb all the information contained in them. Hew Strachan's new edition of The Oxford Illustrated History of the First World War is not strictly an illustrated history of the war. At about half the size of the Grant volume, it's a collection of 24 essays by leading scholars on different aspects of the war. These essays are accompanied by relevant photographs with a section with 24 independent color plates. The essays follow the general timeline of the war to a certain extent, but since each is an independent effort, no sense of transition is present. We don't get a chronological feeling for the war's unfolding events. What we do get, however, is a collection of thoughtful, scholarly approaches to specific topics that readers should already have some interest in and which they wish to explore more deeply or from a different angle. This book is certainly for them. The first edition of The Oxford Illustrated History was published in 1998. In his 2014 introduction Hew Strachan describes how fresh illustrations have been added to the current text and four chapters by new authors have been added, three of them replacements for older chapters. A brand-new addition is the penultimate chapter by Robert Gerwarth, who looks at one direction WWI research has taken since 1998. 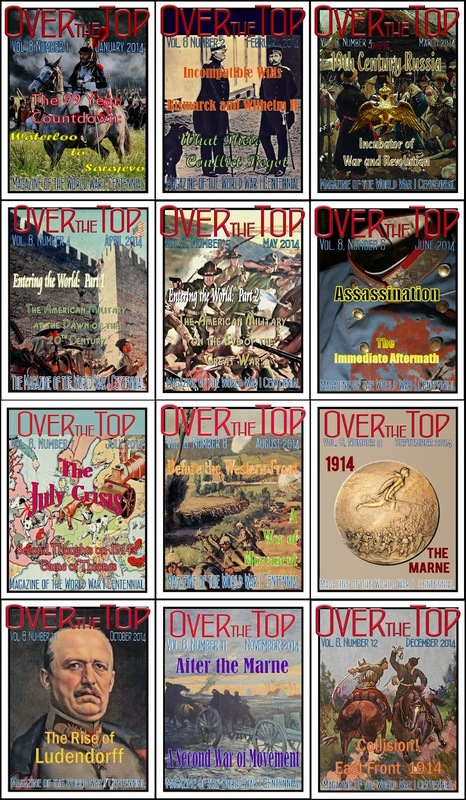 Many of the authors are familiar, such as Dennis Showalter, who in Chapter 3 addresses 1914–1915 Eastern and Western Front tactics, Paul Halpern, whose Chapter 8 describes the war at sea, and J. M. Winter, who looks at wartime propaganda in Chapter 16. The editor himself has contributed a fine essay on "Economic Mobilization: Money, Munitions, and Machines" (Ch. 10). A few essays provide more sense of historical movement than others, such as Donald Trask's look at America's entry into the war (Ch. 18) or Tim Travers's description of the Allied victories in 1918 (Ch. 21). Others form brief histories within themselves. 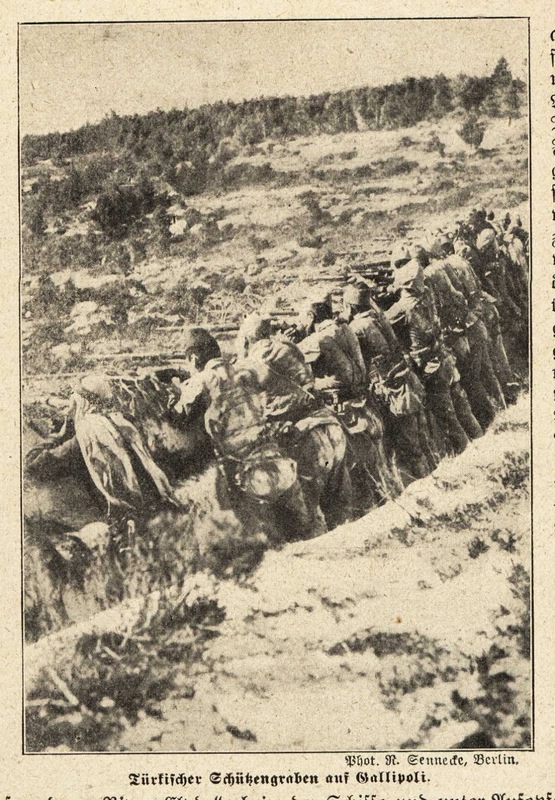 Richard Crampton covers the war in the Balkans from 1914–1918 (Ch. 5), and Susan Grayzel (Ch. 11) looks at the role of women throughout the war. The final chapter by Modris Eksteins deals with memory and the Great War. None of the spate of volumes produced for the fiftieth anniversary of the war was based on serious archival research, for the excellent reason that the war's archives were still closed. Subsequent scholars, including those who have written chapters in this book, have not-at least in most cases-been so handicapped. (p. 10). Today's researchers are fortunate indeed to have so much more material available to them. Fortunate also are the rest of us to have books such as these two available to us — one an impressive visual history and one a collection of essays by those who devote their time to serious and in-depth study of the war. 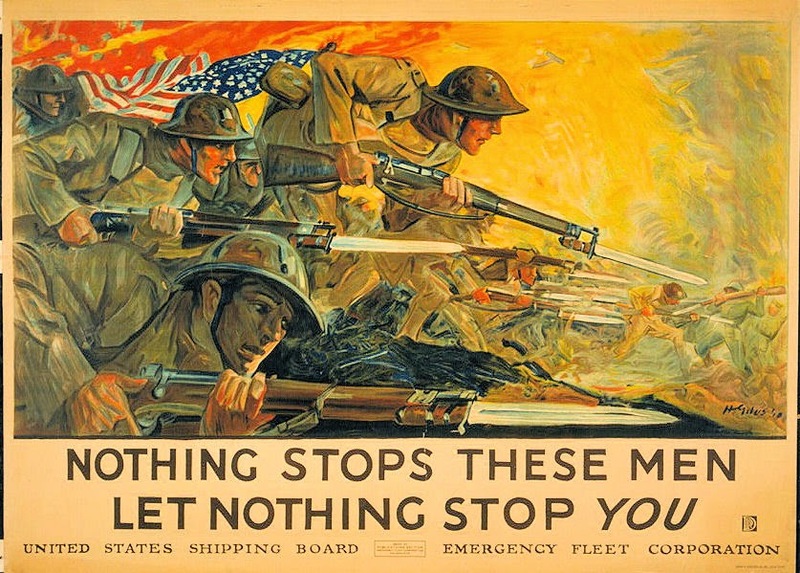 Approximately 30,000 Marines were sent overseas to join the American Expeditionary Forces and 1,600 for naval duty ashore. About 2,000 additional Marines were assigned to battleship or cruiser duty. 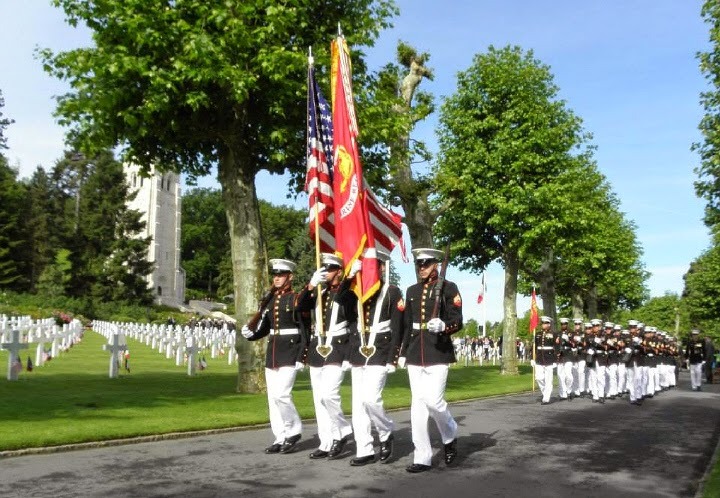 The Fourth Brigade of Marines atttached to the 2nd Division, a total of 258 officers and 8,211 enlisted men, fought in eight operations, suffering approximately 12,000 casualties, including 2,764 killed. 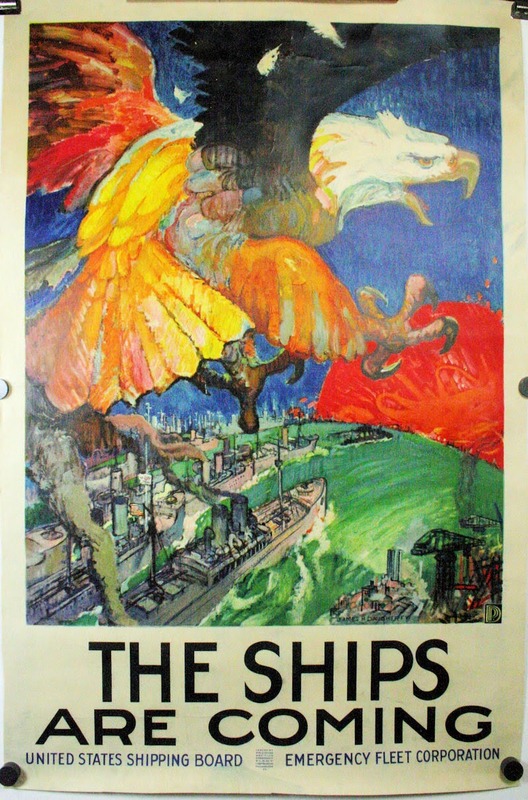 Of the thousands of posters from the Great War I've seen in over 25 years, as a set, I've seen nothing to match this series of posters for their vivid colors and dynamism. There is not one dominant illustrator for the series, and I would guess from this that there was someone — an individual or small group — that guided the series. 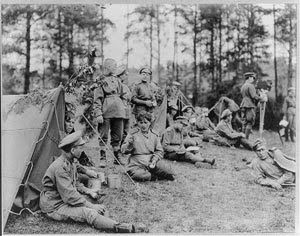 One of the unbelievable stories of World War I is that the Russians, in return for arms and ammunition, sent an expeditionary force of two brigades (which ended up fighting one another) to the Western Front. 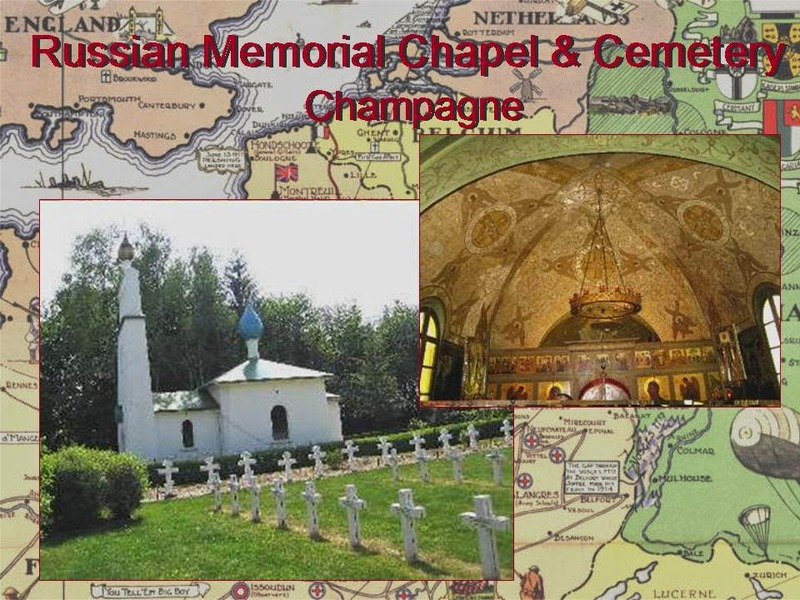 On the site of their advance camp at Mourmelon-le-Grand east of Reims, a memorial chapel now sits with a cemetery where there are buried a number of the Russian soldiers who perished on the Western Front. Annual commemorations are conducted, attended by the Russian émigrés in France . 115 Zeppelin-type airships were used by the German military in the First World War. The Army and Navy lost 53 airships and 379 highly trained officers and men, and 24 airships were so damaged they could not be used again. They were used much more for reconnaissance missions than bombing, with over 1200 sorties flown over the North Sea alone. Parachutes were considered excess weight and, therefore, not carried. In April 1917 Zeppelin L-23 intercepted the Norwegian schooner Royal off the Danish coast, determined she was carrying contraband, put a prize crew aboard, and sailed the ship back to Germany. History's largest Zeppelin attack: 16 Navy and Army airship bombers against London on 2 September 1915 [13 arrived over target]. Deadliest raid: L-13 against London on 8 September 1915 killed 22 people. 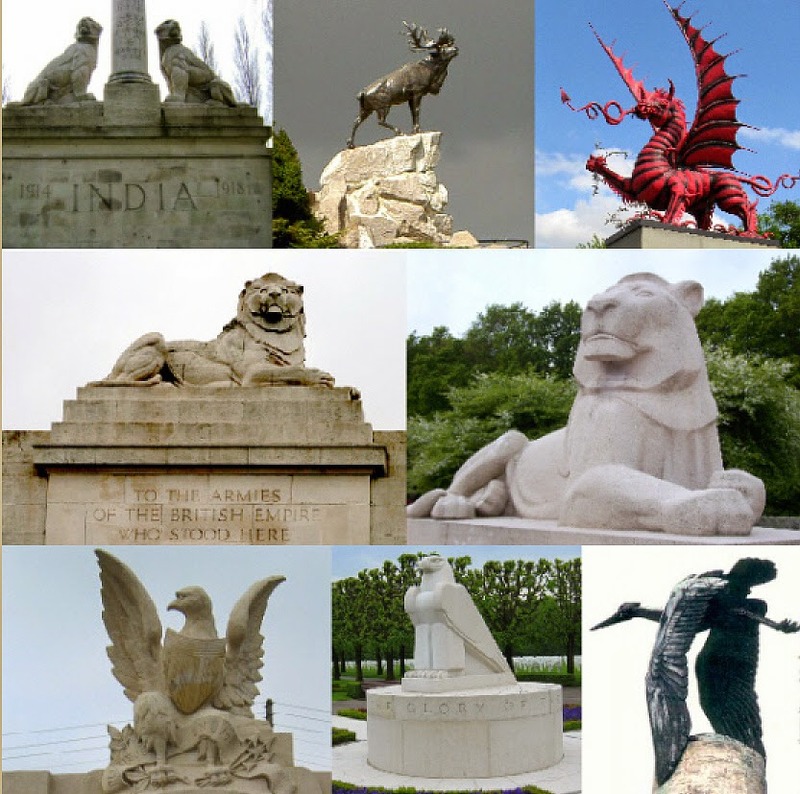 Over 500 individuals died in Britain from air attacks. A Victoria Cross was awarded to William Leefe Robinson of the Royal Flying Corps for shooting down Schütte Lanz SL-11 over London on the night of 2/3 September 1916, a feat that paved the way for the eventual defeat of the Zeppelin as a bomber. Incendiary bullets, which would prove the most lethal anti-Zeppelin weapon, were developed in contravention of the Hague Convention. 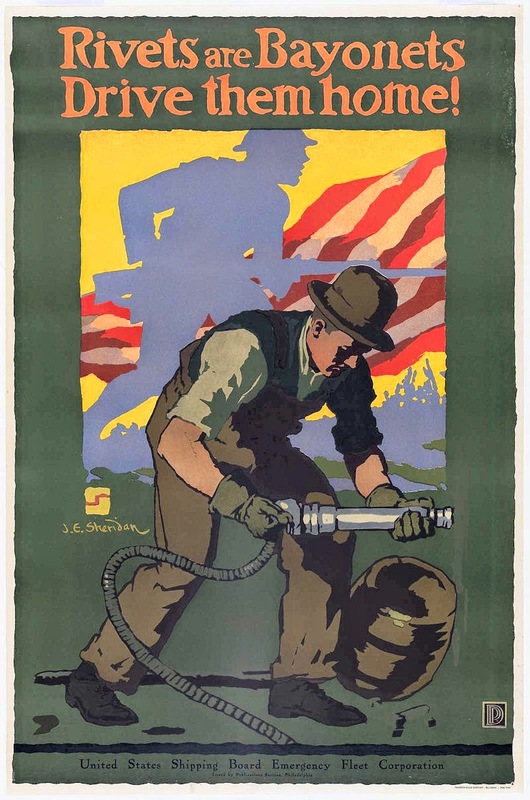 German use of gas in 1915 encouraged overlooking this "technicality". 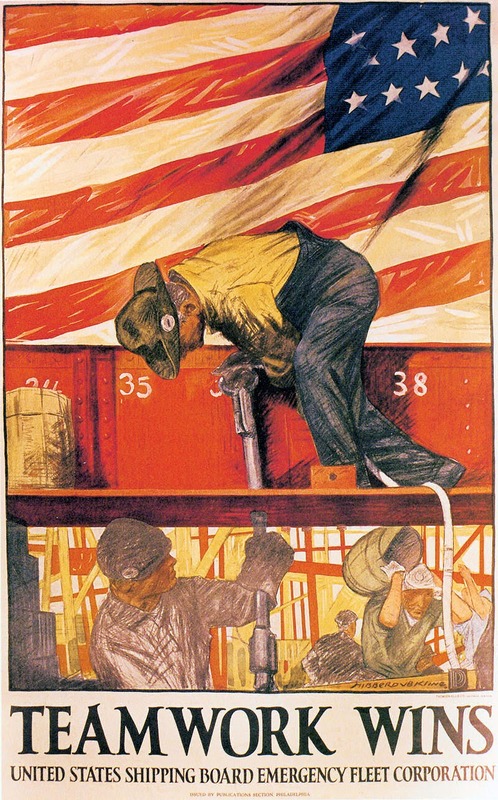 1915 was the best year for Zeppelin crews. Not a single raider was lost to enemy fire. 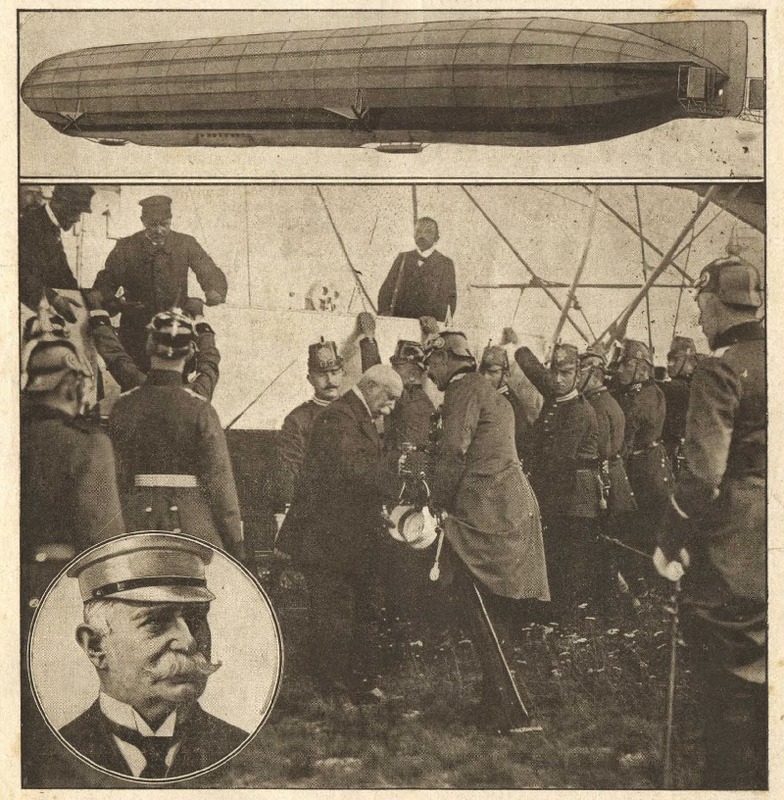 Father of the German airship, Ferdinand Adolf August Heinrich Graf von Zeppelin, did not survive the war. He died of pneumonia on 8 March 1917 at the age of 78. Robert P. Patterson is best known as the Assistant, Undersecretary, and Secretary of War from 1940 to 1947, a turbulent time in U.S. history. As Under Secretary of War Patterson was instrumental in helping to form, train, and equip the U.S. Army that went on to victory in World War II. 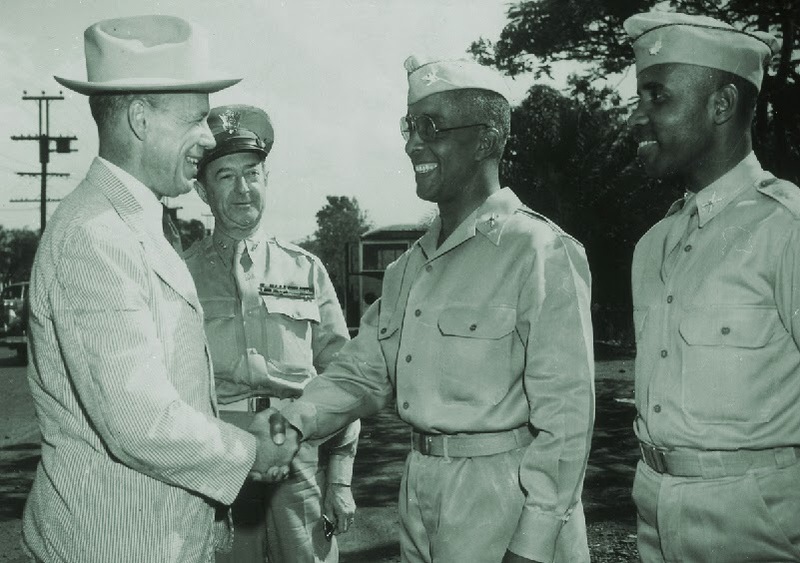 Patterson also was influential in the unification of the armed forces under the National Security Act of 1947. But prior to his public life in the War Department, and prior to his service as a federal judge, Patterson had been an infantry company commander during World War I. This book is his war memoir, written for the benefit of his family in 1933. Written without the benefit of notes or other aides to his memory, Patterson's narrative centers around only what he saw or did. His memory must have been very good because he does a fine job of recording places, dates, and people. He first succinctly covers his prewar service as an enlisted man in the New York National Guard on the Mexican border. There he learned the rudiments of soldiering. After mobilization, Patterson applied for, was accepted to, and graduated from officers training camp at Plattsburgh, New York. Upon graduation and commissioning in August 1917, he was sent to Camp Upton, where he served in the Depot Brigade. In January he was assigned to the 306th Infantry Regiment in the 77th Division; that division was made up largely of New York City draftees. Patterson provides a nice description of the composition of squads and platoons, along with a fairly complete breakdown of just what constituted an infantry regiment headquarters company, very helpful for those who are unfamiliar with the organization of the U.S. Army at this time. Patterson recounts his service in a straightforward manner. When his company went into the front lines along the Vesle River in August 1918, Patterson took care to place his men carefully. At one point, he took two men on a patrol toward German lines; as a result of this harrowing adventure, which he nicely describes, all three men were awarded the Distinguished Service Cross for bravery. Patterson even includes two detailed hand-drawn maps that depict the area and the patrol's movements. 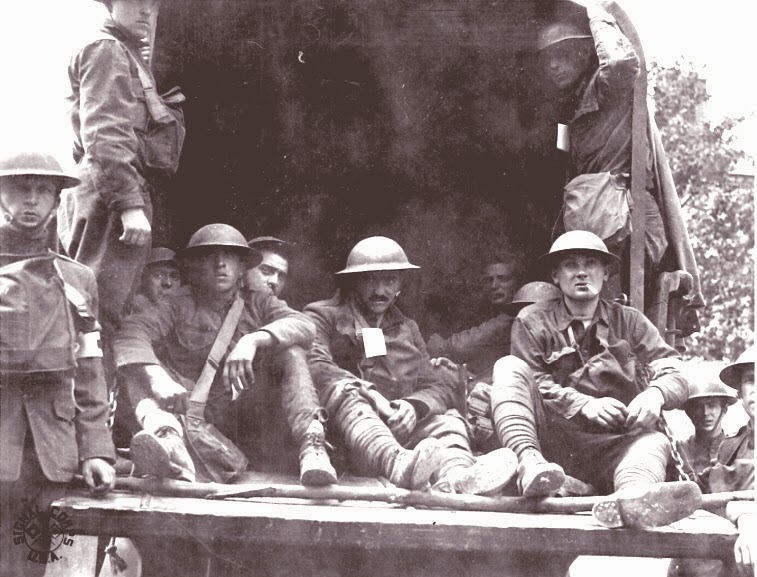 Just after this, he was gassed and evacuated, but he returned to his company in time to move into the Argonne Forest prior to the start of the Meuse-Argonne Offensive. Later, Patterson comments upon another Argonne incident that sheds light on the communication problems that beset commanders at every level. Ordered to support another battalion in an assault upon St. Juvin on the banks of the Aire River, Patterson could get no information about what was happening to the troops in his front. Upon being convinced that the battalion had crossed the river, Patterson's men found a river ford and crossed; it was only then that he could confirm the success of the attack. This is typical of what confronted Great War soldiers, and in most cases it had the potential to spell disaster. The days of tactical radio were still far in the future. Editor J. Garry Clifford provides a helpful introduction; his notes supply appropriate context and explanation. Although the volume is comparatively slim--about 80 pages of Patterson's actual text--it is a fine and thoughtful exposition of what one man experienced as an infantry company commander during the Great War. According to Clifford, historian Robert H. Ferrell felt that Patterson's memoir "ranked among the best of the hundreds he had read in authoring his own several books on the First World War" (p. xii). I have not read hundreds of memoirs, but I would agree that Patterson's is among the best of the dozens I have read. 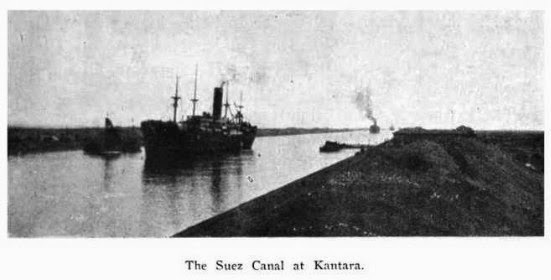 As regards the Suez Canal, England has a double interest: it has a predominant commercial interest, because 82 percent of the trade passing through the Canal is British trade, and it has a predominant political interest caused by the fact that the Canal is the principal highway to India, Ceylon, the Straits [of Malacca], and British Burma, where 250 million people live under our rule, and also to China, where we have vast interests and 84 per cent of the external trade of that still more enormous Empire. 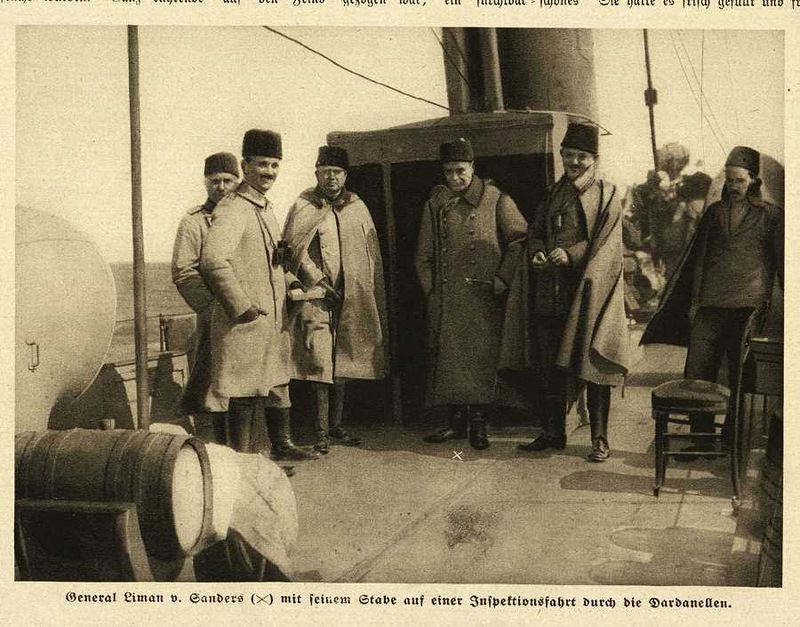 Turkish forces launched their first attack on the Suez Canal, Britain's vital link to the East and Australia, on 3 February 1915, having dragged heavy loads of pontoons and other bridging equipment over 160 km of desert. 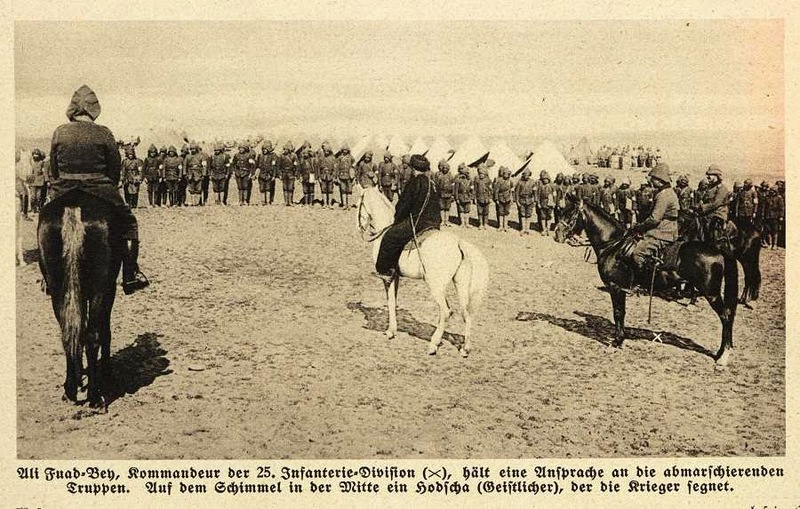 The attack was poorly coordinated and easily repulsed, and the Turkish forces were driven back into the Sinai desert. After this attack the British forces pushed their defenses out 10 km east of the canal. The Gallipoli campaign subsequently limited the resources available for the defense of the Canal but also deprived the Turks of the ability to mount a renewed offensive. The end of the Gallipoli campaign in December 1915 dramatically altered the military situation on the Sinai peninsula. Turkey now had the troops available to launch a new drive on the Canal, and the British sufficient troops to attempt to defend it in depth. That effort to gain control of the Canal was defeated strategically at the Battle of Romani fought in the northern Sinai Desert in August 1916. I suspect most readers of Roads to the Great War are familiar with Fitzgerald's description of the Somme from Tender Is the Night, but here's something interesting he had to say earlier about what it was about for Americans when we joined in.